Bugattibuilder.com forum • View topic - A.op de Weegh (2x) / K.Hottendorff, Compassion or crime? A.op de Weegh (2x) / K.Hottendorff, Compassion or crime? Post subject: A.op de Weegh (2x) / K.Hottendorff, Compassion or crime? Suppose in the late forty’s, when no-one has any interest in old fast cars, you have a passion for fast cars of class out of the thirty’s and forty’s and you can buy these cars for little money. You are just twenty years of age and you like to drive these cars very fast in the environment. Obviously after a while the car breaks mechanically down and than you park the car in the neighbourhood of your house and you buy for a bargain another fancy care and the history repeats. In 1958 you have about twenty cars (among them 7 Bugattis) and they are all standing in the neighbourhood of your house. People think, that you are not healthy in mind, as no-one at that time could presume, that these cars would be worth a fortune after 30 years. The police of Paris oblige you to put every night a red light on each of your cars for safety and that’s why you walk every night through the dark streets of Paris. Selling the cars makes no sense. No-one has any interest at that time. In 1958 you put the cars in a shed at a famous racing-circuit, Linas-Montlhery, somewhat north of Paris. You put your cars there in hope to establish a museum with your cars. Again every-one laughs at you, because there is no interest at all for these cars. In fact you are not a collector in the sense of the word, but it’s hard for you to separate from the cars of which every single one carries a memory for you. 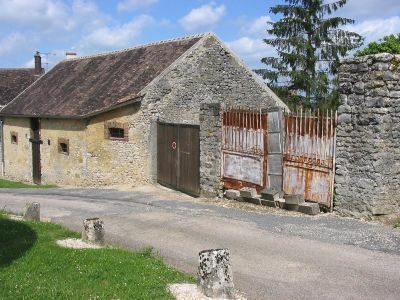 In 1964, when there is still no interest at all for such a museum you buy a farm, build in the 19. century, in Villemarechal; a sleepy village in about 100 kilometres south of Paris. The place is surrounded by walls and there are many sheds so that you can station all your cars secretly. Rust can have almost no influence on the cars. Dust and dirt can. In this way you live almost twenty years in peace with you memories as an in your profession meanwhile famous and respected man and because you still love fast an extravagant cars and still are fond of driving them fast in the neighbourhood, your collection grows and grows. Meanwhile people have discovered that this kind of cars is valuable, but that is of no interest for you. You bought them cheap and now there is no necessity to sell them. They are your memories. In the fifty’s and sixty’s they didn’t want them, now they don’t get them. In the meantime the cars get under a thick level of dirt and dust. It’s your secret, the cars are your memories and that’s the way it should stay. You don’t harm anyone. Than suddenly a friend of yours brings along a German photographer in 1983. This guy has no other wish than to make a photo session of your collection. He keeps nagging and at last you give your permission for the small amount of 2000 German Marks. You sign an approval and you ask the German kindly neither to take any photographs of the house or the outer walls nor to mention your name or the name of the village. The photographer promises this and for three days he and his team are busy taking photos. When the session is finished you open a couple of bottles wine to toast at the happy ending. You have been hospitable and your guests seem to have appreciated that. How trustful can a man be? A few months later the first articles appear in American magazines, but the summit is an article in august 1983 in the German magazine “der Stern” in which they accuse you in being a reserved, stubborn, odd person and someone without any feeling for the value of the cars. You neglect your cars and your home. Your collection is called sirens’ graveyard and the condition of the cars is signed out by photographic skill more badly than the reality is. And most of all the article tells your age, your profession, the country were you are born (Switzerland), the kind of farm in which you live and the fact, that you live in about 100 kilometres south of Paris. Because you are in your profession in the meantime an international authority, it’s no problem to trace you. It’s practically the same as if they had told your name and address. Your collection has meanwhile very famous and expensive brands: 9 Bugattis, 2 Cords and the marks Lotus, Alfa Romeo, Rolls Royce, Bentley, Lincoln Continental, Ferrari, Jowett, Jaguar and other distinctive marks. As a result of that you are visited by all kinds of buyers, who think they can buy a exclusive car for little money. As they find out, that you are not willing to sell any car they call you names and the insult you. With helicopters the fly over your once so quiet farmyard. There are thieves climbing your walls. Even a front axe is removed from a Bugatti Atalante with a welding torch. You have had it and furiously you phone the German photographer, who thinks he isn’t to blame and hard words are spoken. 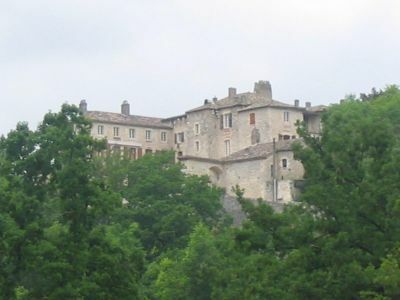 At last you decide in 1984/1985 to remove the whole collection to chateau de Folmont in Bagat near Bergerac, 650 kilometres away. In 1986 the German Photographer has the guts to publish a book about the collection with a German text-writer. But they have learned their lessons, because they call you Pierre and they write more friendly. But evil has been done and half the world knows who you are. 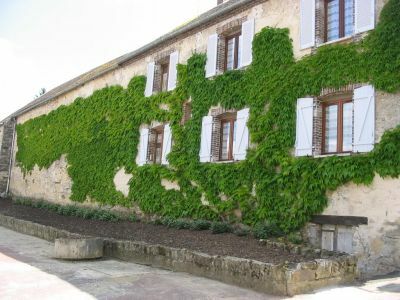 In 1988 you reconsider the idea of a museum, when Thierry Giovannoni ask you to lend him some care to establish a museum. Not an ordinary museum, but a museum where you can see the cars in a natural contour. Thierry selects with care 26 of your memories. In 1989 this very special museum opens its doors and there is much interest and fascination, but among the visitors there are people too, who condemn you and think that they have the right to an opinion. In the mean time the French tax collectors office gets interest in you cars. They want you to pay taxes for the cars. At last – in January 1991 – not able to fight the preconceived opinion anymore, you decide with pain in your heart to sell the whole collection; the cars in the museum and the cars back in the chateau and to close the museum. Money and double morality have won. Thierry Giovannoni and Jose Ramos, who was in charge of the museum, do the selling. So far the story of Michel Dovaz. In fact a very sad story: A story about people who think it’s acceptable to judge other people and to condemn their way of acting. A story about an unique collection in which the owner realizes a plan from long time ago to establish a museum, but after less than one and a half year has to close it, because he can’t handle the accusations and the hurting anymore. A story in which one human being thinks he has the right to tell the other what is wrong and right. And a story in which easily awakened emotions are used to make big money. We don’t know how the photos were made back in the eighty’s. They show cars in state of total destruction. And with these kind of photos the German photographer has published a new book in October 2007. And again there will be many emotions awakened and probably there are again many people condemning Michel Dovaz. And again that will be not right. Michel bought the cars mostly back in the fifty’s, when they were worth almost nothing and saved them from an almost certain destruction or demolition. Without him we would have lost those beautiful and valuable cars. Now many have been restored. Ten unrestored cars are still at a castle of a friend of Dovaz. We have seen them, touched them, made photos and filmed them. They are unrestored in a pretty good shape. A much better shape than the photos of the German photographer 24 years ago made believe. Judge for yourself! The new book of the photographer is in the bookshops since October 2007. In autumn 2008 we will bring out our book with the true story, a very inspiriting story with all the backgrounds of the collection since 1948 and the fate of many of the cars up to 2008. . But most of all a story, that rehabilitates the man who brought together this unique collection and saved the cars from destruction. Michel earns respect and we will give that to him. it's difficult to answer, to this theme. First off all, I don't like the titel, it's to extreme. I think every old car lover thanks Michel Dovaz, for saving the cars from destruction, but on the other side, he did a long term destruction. Normally everybody could do with his property, whats ever he want, but we are talking of some really special cars, which are for me part, of our european culture. It was sad for me to see the cars in the condition of Mr. Dovaz and its sad to see the cars in their Show-Room condition today. Being now for nearly 30 years involved with old cars, I could only say, if I had happy memories with some cars, I'll keep them in drivable condition and enjoy them as much as I could, or I preserve them in their condition, when I drove them last time. I believe, that some guys (collectors) had the 'instinct', that some rare cars will be expensive once, so they startet collecting special cars and parts and a lot have sold, or is selling these today. Other bought some parts and created cars around them, to sell them. Today most people are buying old cars, without any connection, its 'In' and maybe they could earn some money. Others are doing books, or stories around them, to earn money. Others are hiding 'fake' cars, and are waiting some years, that someone will find theit hidden treasure, to sell them as real. It's all about money. In France they did some of the most beautiful cars of all time, all sold to US or Japan. The biggest collection of french luxory cars was sold last year, no european cared about it. So, why doing another book about Michel Dovaz. Post subject: Thanks to Odin for starting the discussion! thanks for your opinion. I almost thought, nobody had an opinion on our story. Exactly what you say is, why Michel Dovaz lost interest in classic cars: "It's all about money." When he used to buy cars, he bought them because he loved to drive them. When he couldn't repair them any more, he kept them as souvenirs. As years went by, classic cars became "IN" and thus more and more expensive. People who hadn't any relationship to classic cars, started to collect them like stamps. That's the point when Michel lost interest. But still the cars carried his memories and so he kept them for a long time. I personally agree with you, that he could have stored them better. I personally love cars that have been preserved instead of restored to Pebble Beach condition. But on the other hand: would you have the money to store some 60 cars under ideal conditions or even keep them in running order? I couldn't afford. And we shouldn't forget that the photos from the 1980s tended to display the condition of the cars in the worst possible (=most picturesque) way. We saw many unrestored "Sleeping Beauties" last year. And most of them looked even better than on the 25 year old photos. As for the necessity of a new book: We think our book is necessary, as it tells a story that hasn't been told, although the "Sleeping Beauties" are well known since 25 years now. Our book will answer a lot of questions, many people have on Dovaz and his cars. The two available photobooks on the collection unfortunately tell fairy tales, only. 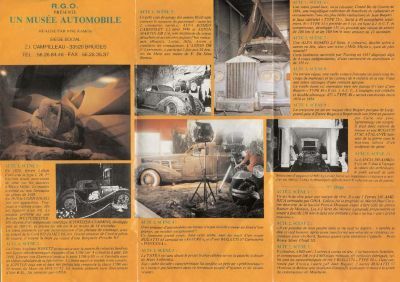 No photos before 1983, no photos after 1985, almost no facts about Dovaz, his collection and the fate of the cars. By the way: writing such a detailed book and collectiong the needed photos (including copyrights) is a hell of a job. And if you really think, this is an easy way to earn money, than you should inform yourself about the low print runs of specialiced car books and the low share the authors get from the sales price. Photo books with easy to read fairy tales (like the above mentioned) might sell in large numbers. Books which include a lot of historic facts and photos from seven decades, unfortunately don't. Such books are written by enthousiasts who do not look for the money but for the result. Again thanks for your opinion. I wish more people would start discussing this topic. I've a lot of respect for someone, doing lots of research of old cars. The nice thing is with old cars, that I found people, which are enthusiast, without thinking only in money. Hesselmann did a sensation story in the right time, without being interested in old cars. For Mr. Schrader, it's business. I startet with old cars in the late 70th and most people thought, he is crazy, but I'm a person, who works hard for his money. Old Cars are my passion and it's hard to find people, to talk about them, even in forums, most are young and interested in sensational 'modern' Cars, or interested in financial reasons and doing some public Relations work, like Mr. Massini, or Mr. Nye, or Mr. Bäumer. or this Belgian Car dealer. I don't believe, that Mr. Dovaz is a 'poor' guy, doing everything for his Cars, but I can understand him, that he lost interest, for all what's happened. Wishing you luck, for your work and hope that I one day could read the story of some really fascinating Cars. Than finally. Dovaz is and was not a pour guy. We met him. He is a very gentle and intelligent man 80 years of age, who still writes books about wine. He had faith in people and in 1983 that became fatal to him. The Dutch book will be available 23th of november. English shortly after that an most likely there will also be a Franch and a German book. Michel Dovaz himself wrote the introduction, in the book is very much new fotomaterial, 160 pages, full collour and the price of the utch book will be € 32,50. We - the authors - are very proud of the result. job, it was nearly affortable. selling collections: collections have been dispearsed all the time. f.e. when the owner dies. take the famous bugatti-colection of peter hampton? waterman; germany: hillers, rosso bianco and so on. when things were sold, they get to the highest bidder, not only to US or japan as you mentioned. you cant blame a collector, when getting old to sell what he has made up the last decades. I agree with Mike. 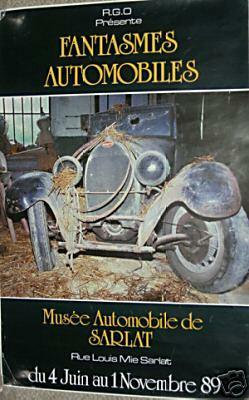 In Mai we discovered in France a collection of at least 70 old cars of class. To many to restore for the owner, but het didn't want to sell any car. And I strongly believe, that there are many collections in France like that. Next week the owner of the collection of our book - the 80-years oldMichel Dovaz - will come to Holland to collect the first book available. You can check our website (www.extraordinarycarcollections.com) after the 25th of november to see some filmimpressions of the event. for in his 8o`s he decided to sell, what he had built up from th mid 5o`s.